The one thing when it comes to skincare, is you need to be able to answer one question; what is your skin type? Is it Oily, Dry, Combination or Normal. For me I have normal skin, but I suffer from dry areas around my nose and T-Zone area. What I really loved about Elizabeth Arden is that no matter what skin type or problems you have, there is a product that will help you. 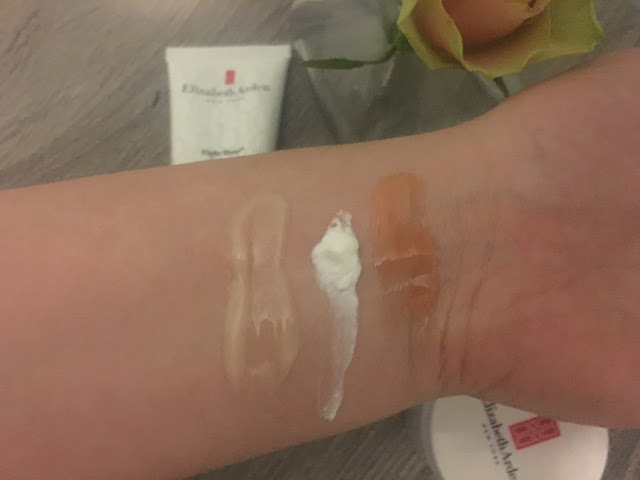 I got three products from the Eight Hour Cream Collection: the Intensive Daily Moisturiser for Face, the Skin Protectant Nighttime Miracle Moisturiser and the Skin Protectant. I was told that all of these products would be perfect for any dry areas on my face because they are very hydrating for the skin. I have been using these products for the last week and wore them for my graduation and I noticed a difference in my skin the day after I started using them. 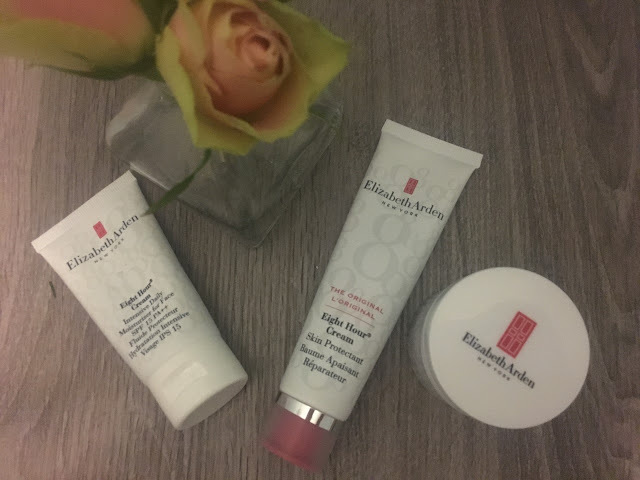 The Eight Hour Cream Intensive Daily Moisturiser for Face is your classic skin protectant in a daily moisturiser. 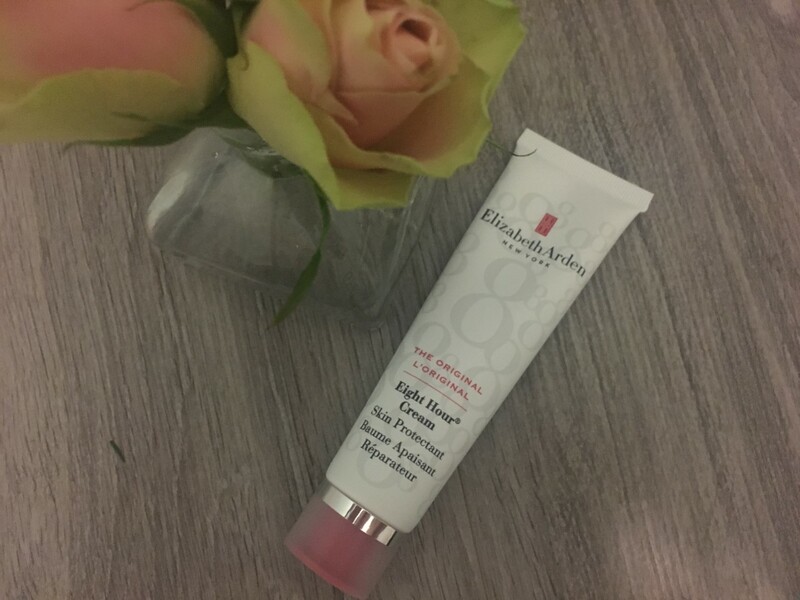 This will leave your skin feeling hydrated instantly, and will leave the skin feeling soft, smooth and moisturised for up to eight hours. I definitely notice a different in my skin when I wear this moisturiser and it doesn't leave your skin feeling greasy but instead has a nourishing effect on my skin. This will be perfect for all skin types because it is not oily and it won't make you look really shiny, especially if you are not going to wear makeup. 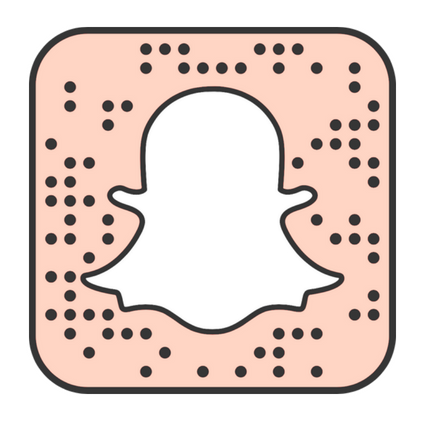 Also, it is very lightweight and it feels like you haven't got anything on your face when you wear it, and you only need a small amount of the product. 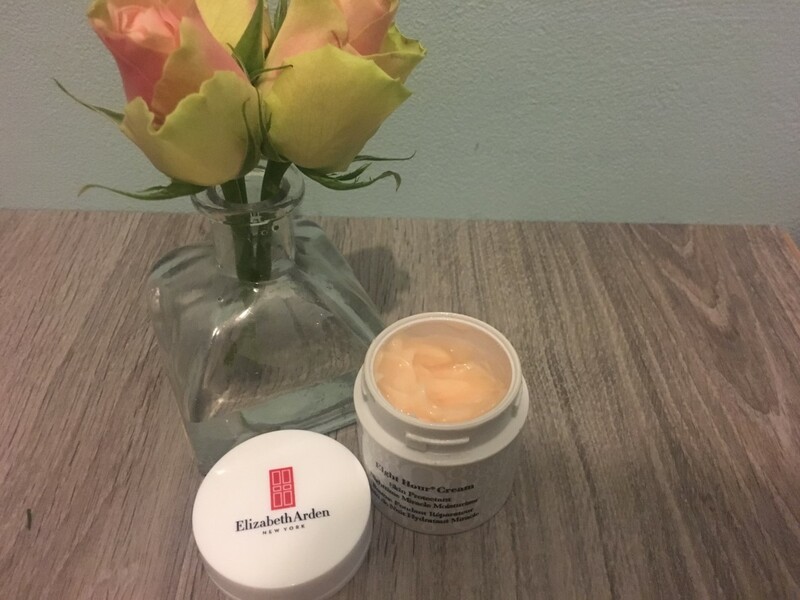 I usually will do my whole face with this moisturiser and then I will apply a bit more of the moisturiser to areas of my face that are particularly dry. You can also apply your makeup almost instantly after applying and it does have SPF 15 in it as well. I also really love the smell of this cream and to me it has a lemon scent to it. This is just a beautiful product and I will definitely be keeping this in my skincare routine for a long time. 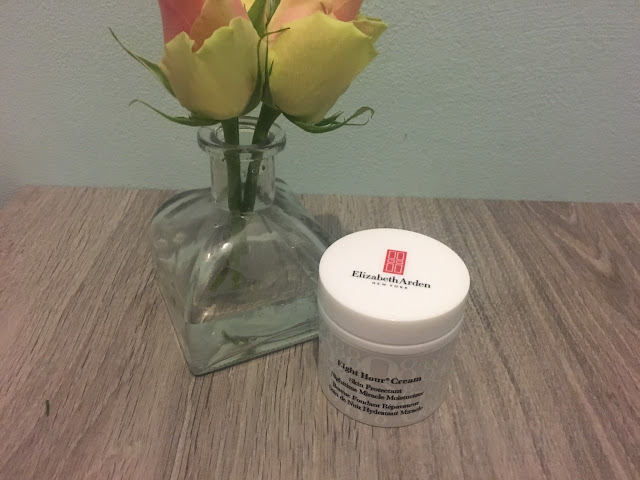 It does retail for £30 which is not too bad for a moisturiser but at the end of this post I will link you to where you can get two products at a bargain price. Because I got the daily moisturiser, I of course had to purchase the Eight Hour Cream Skin Protectant Nighttime Miracle Moisturiser which retails for £32. I just loved the look of this product and I don't know why because it is just an apricot-coloured balm, but I really wanted to try it out. This has a very soft lavender scent to it which is perfect for nighttime and just makes me feel so sleepy. Also, this balm or gel is incredible and is my version of liquid gold in a tub. This is so hydrating and because it will melt into your skin while you sleep, you wake up and your skin will feel hydrated and soft. It instantly starts to absorb but will slowly sink into your skin over the course of your sleep. It doesn't feel sticky but you can definitely see how hydrated it leaves your skin feeling because you can see it on your face a couple of hours later. You also don't need too much, I have put way too much on and it hasn't absorbed after eight hours of sleep; so a little goes a long way. If you suffer from dry skin on your face I would definitely recommend this because it is just incredible and I have noticed a real difference to my skin and I have only been using this for a week now. The only thing I have noticed it that oil does collect in the tub which I'm not a massive fan of, but I just remove that every now and again and if you use it every night then it shouldn't build up too much. 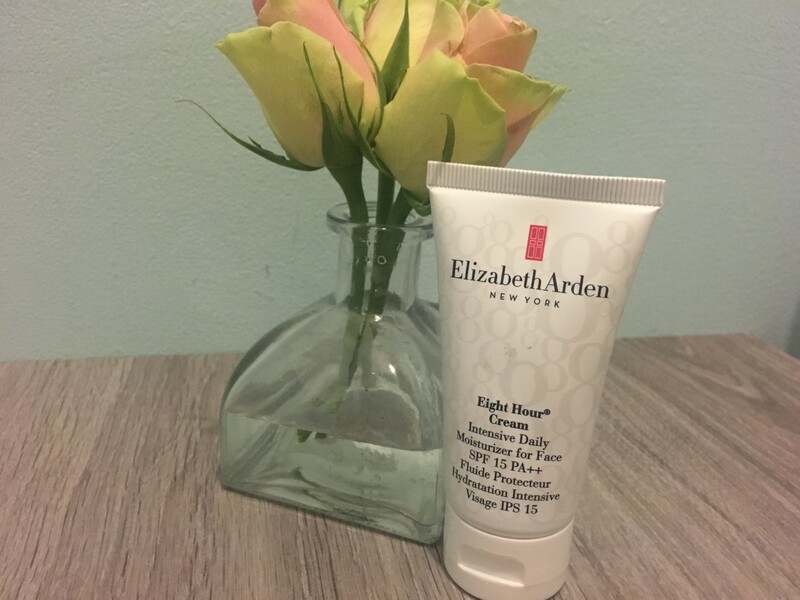 I have heard so many good things about the Eight Hour Cream Skin Protectant and it is £27. This helps to alleviate symptoms of chapping, peeling and windburn due to dryness. I wasn't going to get this as it is not actually to be used for the face, although it can be used as a lip balm. I actually got this because I do suffer from dry areas of skin near my ear and down my neck and I have tried so many products and nothing has cleared it up, so I thought I would get this to see if it helps. I did try it on my lips and it is amazing, and it hydrated my lips and almost acted like a lip gloss over the top of my lipstick. It will definitely be perfect in the Winter when I suffer from chapped lips and will I have seen it reduce the amount of dryness behind my ear. My only criticism is the smell; and it is a pretty horrible smell. To me it reminds me of the smell of hospitals and the disinfectant they use. It just isn't a nice smell on your lips and you can smell it for ages as well. 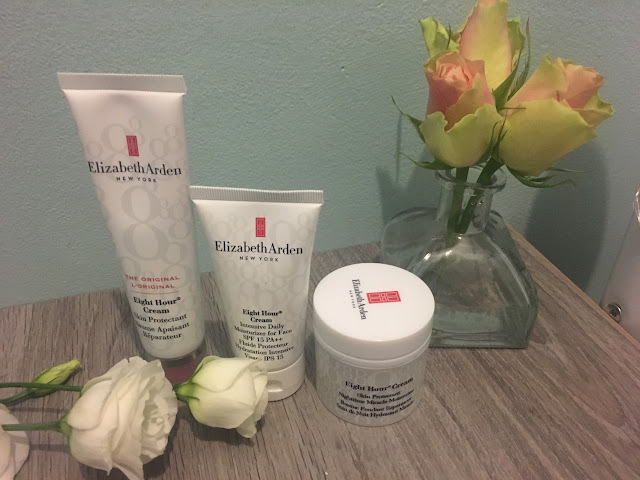 I wish I had been told about the fragrance free skin protectant that Elizabeth Arden sells as well, and in the future I will buy that one because I really don't like the smell. Overall, I think this product is good but only get it if you suffer from peeling or dry areas on your body. If you are looking for a lip balm then you can get a much cheaper alternative.